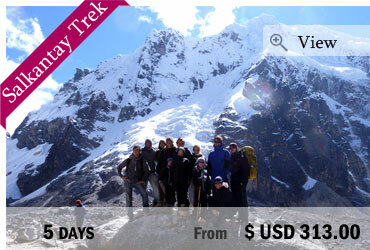 This is a tour for those who want to combine adventure and sightseeing! On an exciting Mountain Biking Tour through the amazing Andean landscapes we will enjoy the most spectacular sceneries mixed with adventurous downhill rides on narrow and rocky paths, taking you to the Inca terraces of Moray and the ancient salt mines of Maras. A different type of sightseeing for all those who like more action and fun! 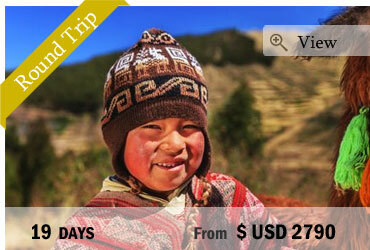 We start in Cusco and travel by bus to the Sacred Valley, a former very important habitat of the Incas. On the bus ride we pass several small traditional villages and you can enjoy and take pictures of the beautiful Andean landscape that surrounds us. After ca. 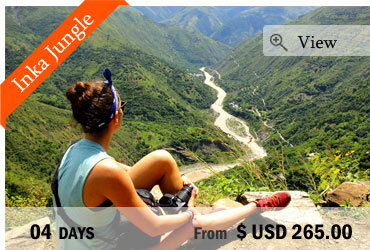 1.5 hours we arrive in Chinchero from where we begin our biking tour along a mountain track. We will pass the beautiful Huaypo Lagoon and after approx. 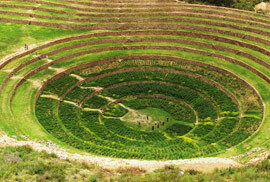 1 hour biking arrive at the archaeological complex of Moray where we’ll stop for a visit of these impressive Inca terraces, each of them representing another microclimate. We will enjoy a nice picnic lunch, then we continue the trip with a quite challenging but fun downhill ride on a rocky and narrow road all the way down to the Salineras de Maras, the ancient salt evaporation ponds, in use since Inca times. The last ride will be another downhill to the Pichingoto bridge that we will cross and finally arrive in Urubamba where we take back our transport to Cusco. End of our services.